No menu this week….and other such things! I did not plan a menu this week and have sort of been drifting along…….it has worked out! So far, this last week was consumed by helping family out so we just added stuff to their meals. On Saturday I used the turkey broth and a couple of heads of cauliflower I got and with some broccoli my sister had, leftover canned evaporated milk, we had some yummy cream of cauliflower/broccoli soup. We served with a mishmash of leftover stuff like bread and rolls and pie. Yesterday, we ate more leftovers and today, we probably will as well with a twist on them!!! <p> I did make some yummy whole wheat banana chocolate chip muffins! I had gotten some free bananas and I thought they were really ripe, but they were not brown or anything when I opened them!!! They made good snacks and breakfast, along with orange slices and hot fresh pressed apple cider. Do you have any favorite different spins you put on leftovers? It has been quite the week. We have been busy and moving, cleaning, cooking, and helping finish up my sister’s house. Painting…..the boys worked really hard cleaning, painting and learning how to work hard!! My sisters new master bathroom! The tile is beautiful!!! My camera was fuzzy from being in the cold too long!! I forgot to bring it in before we ate dinner, but I got some of the pies!! I did not even have time to change clothes, I was on my feet pretty much constant for the last two days! Lots of baby holding going on!!! It is fun to have two of them and they are going to be spoiled as they are oohed and awed over all the time. Their cousins love them and love to play with them! They are really good babies too, which is nice! They are fun to play with and hardly cry at all! Looking into the living room from the dining room! This is looking for their old living room! My niece played us something she learned on the violin!! She just started and she already could play a nice song!! There is plenty of room now to play, and move around. We had 30 people in the house and it was relaxing, because of all the space!! Anyhow, that was a bit of an overview of my week! I said I think I was probably among a minority who prepared Thanksgiving turkey with a chop saw and table saw in the kitchen!! They were still working on paint touch ups, trim, closets, putting bathrooms together yesterday. It was nice to work together!! Today we are going to put together a scrapbook room! A time of hope, redemption, and new life. A Miracle for Miriam by Kathleen Fuller. Seth is no longer the arrogant young man who shattered Miriam’s confidence and broke her heart. But can he convince "plain" Miriam that she is truly beautiful to him? A Choice To Forgive by Beth Wiseman. After Daniel disappeared that long-ago Christmas Eve, Lydia built a life with his brother. But now she’s a widow and Daniel has reappeared, asking for forgiveness. But can she go back to her normal life with her long-lost love as her neighbor? One Child by Barbara Cameron. I enjoyed this story probably the most!!! Sarah had lost her baby to miscarriage and she greatly feels the pain of this, when a stranded couple stays at their home during a snowstorm and the wife is expecting a baby. Since many Amish women have their babies at home, I liked it that this was portrayed as such. The other two were nice stories as well. One thing bothered me in the first story, Miriam struggled with feeling ugly and doubts herself since a bullying incident on the schoolyard. Even as an adult she overhears people commenting on her ill looks. This bothered me as later other people told her how pretty she was and she herself could just not see it. I wondered why then other people seemed to comment on her being ugly so much then, it just seemed sort of odd. My Review: When Julia finds herself heading west to oversee an orphan train and finds herself stuck in a tiny town in Western MT, she is confused about what she should do. Her slightly odd employer seems to have signed her up for a marriage as a mail order bride without her permission and without knowing the bridegroom was less than desirable! No money and no place to stay, Julia casts herself upon the mercy of the good people of the town for shelter and food. In exchange she work teaching the children of the town! Meanwhile, the minister of the town is stuck trying to deal with matchmakers, accidental murder, and family issues and is surprised to find himself attracted to the newcomer. I have read a few of these Love Finds you series and every single one of them has been really good! I actually went out to buy some of them because I have enjoyed them so much. This book was no exception. It is funny, one mishap after another in some ways, but also puts some great history about that part of MT in there. I have to say I did feel a bit irritated by the character of Mrs. Hamlin….she just seemed to be too absent minded and mistake prone to actually organize a successful orphan train, but maybe it was her new husband? Overall this was a great book, this humorous romance will keep you entertained and leave you happy in the end! 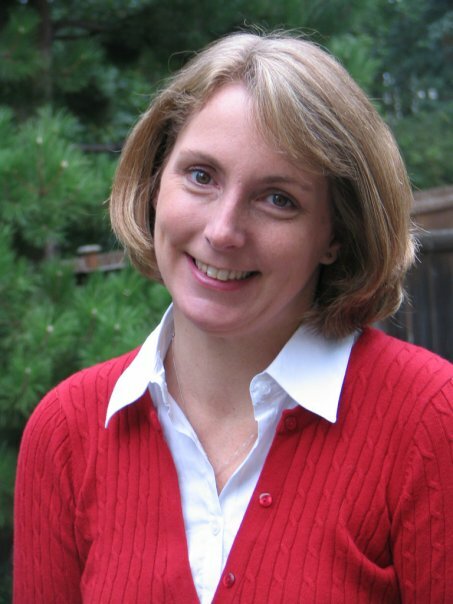 Tricia Goyer was named Mount Hermon Christian Writers Conference “Writer of the Year” in 2003. Her book Night Song won Book of the Year from ACFW in the Long Historical Fiction category. Her book Life Interrupted: The Scoop On Being a Young Mom was a Gold Medallion Finalist. 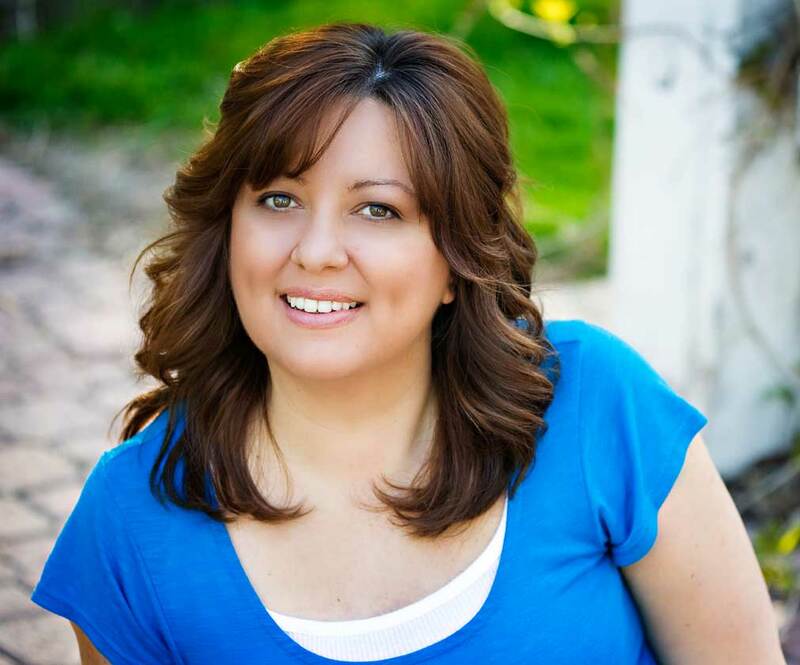 Tricia has written hundreds of articles, Bible Study notes, and both fiction and non-fiction books. 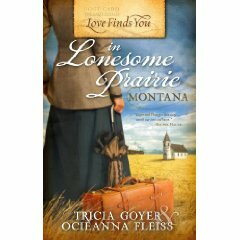 Ocieanna Fleissis a published writer and has edited six of Tricia Goyer’s historical novels. She lives with her husband and their four children in the Seattle area. Connect with Ocieanna on Facebook! The sound of little girls voices and the sight of the sun streaming through the tall, second-story window of the Open Door Home for Destitute Girls, a privately owned orphanage on upper Manhattan, told nineteen-year-old Julia Cavanaugh that the day had started without her. Julia, an orphan herself, now running the place for the owner, brushed a strand of dark hair from her eyes. She submitted to a second yawn as a twelve-year-old girl hopped onto her bed. Oh, Shelby. Julia wiped the sleep from her eyes and smiled into the freckled face staring eagerly at her. Give me a moment to wake before you go asking such things. Julia stroked the girls cheek, her heart seeming to double within her chest with love for the youngster. The embroidery sampler shed fallen asleep working on still lay at the end of her bed. She picked it up and eyed the image of a small house shed copied from Godeys Ladys Book. Above the house, shed stitched the words Home Sweet Home in fancy script. Gazing around the broad room lined with small metal cots and bustling with little-girl chatter, Julia noted the embroidered pillowslips, carefully pressedalbeit dingycurtains, and dandelions smiling from scavenged jam-jar vases. Shed done her best to make the room pleasant for the girlsand herself. She glanced at their faces and smiled, gladly embracing her role as caretaker. Finally. Shelby eyed her with mock frustration. I said, do you think they will get marriedMrs. Hamlin and Mr. Gaffin? Havent you noticed the way they look at each other? Shelbys cheeks hinted of red. Her golden hair was already fixed in a proper bun, her hands and face washed, and her simple dress clean and pressed despite its patches and stray threads. Shelby Bruce. Julia shook her head, as Shelbys two-year-old sister Beatrice wiggled onto Julias lap with a squeal. Julia planted a firm kiss on the top of Beas head. Married? I dont think so, Julia continued. Mrs. Hamlin wouldve told ustold meif she was being courted. Mr. Gaffins just an old family friend. Julia wondered where on earth the girl got the notion that their headmistress wished to marry. Although they have been spending a lot of time together. Julia pushed the thought out of her mind as little Bea shuffled to a stand, planting her pint-sized feet on Julias thighs. Fammy fend! She pointed a chubby finger at her older sister, Shelby. Shelby pushed away from the bed, wrinkled her brow, and thrust her hand behind her as if to support her backa perfect imitation of their middle-aged headmistress. Now where did I put my spectacles? Shelby clucked her tongue as she waddled forward. The laughter grew louder, and Julia pursed her lips together to smother the impulse to laugh along with them. She planted her fists on her hips. Thats enough. All of you know what must be done before breakfast. The girls laughter quieted to soft giggles hidden behind cupped palms as they scattered to do their chores. Julia hoped her own gaze didnt reflect the sinking disquiet that draped her. Mr. Gaffin was a rich world traveler. If there was any truth to Shelbys suspicion, Julia couldnt imagine hed let Mrs. Hamlin continue to work with orphans. Perhaps theyd get a new headmistress. If Mrs. Hamlin got married, all their lives would be radically changed. And if Julia had to leave the orphanage, she had no idea what she would do. Julia swept that painful thought away and steadied her gaze at Shelby. She couldnt hide her true feelings from this girl. Julia took Shelbys hand and answered as honestly as she could. . Julia leaned forward, resting her hands on her knees. The two girls eyed each other in surprise, and Shelbys brow furrowed. Come closer. Julia curled a finger, bidding them. What is it? Shelby asked, her eyes glued to Julia. The squeals of two girls erupted, followed by the cheers of nearly three dozen others whod been quietly listening from the stairwell. There is? Shelby reached forward and squeezed Julias hand. The squeak of the front door down on the first floor of the Revolutionary Warera home-turned-orphanage drew their attention. They waited as Mrs. Hamlins familiar chortle filled the air, along with a bash and clang of itemshopefully food and supplies that shed picked up. Coming. Julia hurried down the stairs to help the older woman. Oh, I didnt want to be a bother. She cheerfully picked herself up. I was in such a hurry to show you all what Id bought. And to tell you my surprise. Such a wonderful surprise. Julia eyed the boxes and noted they were from R.H. Macy & Co. More than a dozen boxes waited to be opened, and she couldnt imagine the cost. I found just what the girls need, and on sale! the headmistress exclaimed. What they need is more foodvitamin drops, tooand maybe a few new schoolbooks. But Julia didnt dare say it. And somehow Gods hand of providence always provided. Julia followed Mrs. Hamlins gaze toward the idle youngsters whod gathered on the staircase to watch. Her eyes locked with Shelbys, then she quickly looked away. News? The muscles in Julias stomach tightened. No, no, her high-pitched voice hailed. Come back. This news is for all of you. They circled around her, and she tenderly patted their bobbing heads. What is it? Julia wasnt sure shed ever seen Mrs. Hamlins cheeks so rosy or her eyes so bright. When I drove by the fruit stand today I noticed they had oranges in, which I was excited for!!! I stopped by to see how much and ended up getting an entire box of really yummy, sweet, Navel oranges for $7!!! She also gave me some spinach and a box of pears, tomatoes and stuff that needs to be used sooner……so for all of you who want to save money on produce…..make friends with people who own a produce stand! Local people….go down there and get some good deals!! !<p> Also, on Freecycle, I got a whole box of peanut butter and jam, which we go through like no tomorrow! I think we got through at least 2 jars a week. It is one of our major expenses! We had a little Thanksgiving lunch at T. preschool co-op group today. It was nice, but I was antsy and wanted to get back home. The boys ended up staying to help my BIL to pull out carpet and furniture to put a hard floor in their living room now, which will be their dining room! Their house is over 4000 sq feet now…we are all going to be working hard to get it all done by Thanksgiving! <p> I am going to a game night at a local church tonight, I am hoping that is going to be fun. It sounds like fun, but I have been a homebody lately!!! Yesterday, I was so, so tired out. I could barely move it seemed like and I had to go grocery shopping. It was a long day! I slept good though from like 2 am-8, so that was good!!! I need to finish up some projects here and organize stuff for birthday gifts and all. We are starting birthday season here! The first one of the season was yesterday, two more next week. <p> I will try to plug in the camera here and post the pictures I have not been taking! I have been really bad at taking pictures! 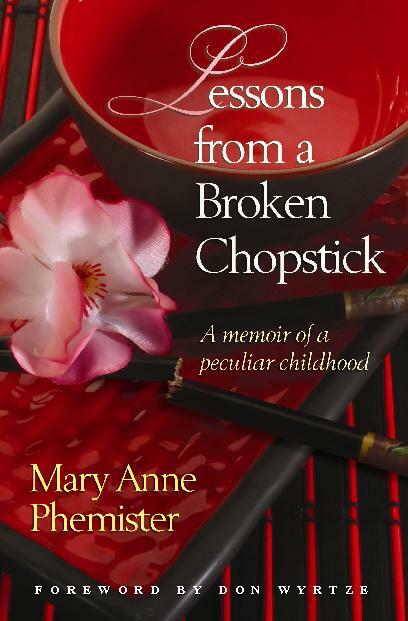 Mary Anne Phemister is a nurse, author, mother, grandmother and wife of noted concert pianist Bill Phemister. The Phemisters live in Wheaton, IL. She has also co-authored Mere Christians: Inspiring Stories of Encounters with C.S. Lewis. A large, beautifully carved Chinese chest rests on curved wooden legs in my kitchen. Long-legged cranes decorate the top and sides in various poses. One bird in the background looking wide-eyed and perplexed, Ive come to call the bewildered one. She reminds me of my mother, full of questions she dare not ask. A furniture maker in Hong Kong sold this beautiful chest to my parents during their early, happier years of married life. Being practical and resourceful, they knew that this fragrant, camphor-lined vault could store and preserve the many curios and keepsakes that they would be collecting over the years to ship back home, someday. A skilled Chinese woodcarver had chiseled these revered birds into the outer teak frame, knowing full well its commercial appeal. Throughout Asia, red-crested cranes are symbols of long life and good luck. My parents, however, believed in divine providence rather than in lady luck. To them, the force that operates for good or ill in a persons life is not as capricious and precarious as luck. Good fortune is not the result of mere chance; it is part of Gods plan. Unfortunate circumstances, like the time my father almost died of food poisoning, are blamed on the enemy of our soulsSatan, the devil or the evil one. Hence, even when God allows bad things to happen to good people, it is not without some purpose. God is teaching us something or testing our faith. Our job on earth is to trust God, who has clearly instructed us not to lay up treasures on earth where moth and rust corrupt. Nevertheless, the few curios they brought home in this chest, fortified with camphor against pesky moths, could not be considered real treasures, merely mementos to display at missionary meetings. My parents firmly believed that one should notmust notexpect to reap the rewards of living a virtuous life here on earth. However, in the life to come, all would turn out right. Then, all lifes troubling questions would be answered to our satisfaction. All things work together for good to those who love God, to those who are called according to his purpose was a bible verse I had memorized at a very early age. Thus, I have always known that life has meaning and purpose. I have never doubted Gods goodness, although I have often questioned His methods. This core belief, that all will turn out well in the end, that good will triumph over evil, that God rewards the faithful, was the force that enabled my mother to endure the countless challenges in her life. Her unshakable faith held her fast after the death of her infant son, Johnny, the puzzling alienation of her brother, Andy, and throughout her unhappy marriage to my father, notwithstanding all her attempts at being the good wife. My parents acquaintance began at the suggestion of my fathers sister, Agnes. She had met Violet in Buffalo, New York and knew of her intent to go to Tibet as a missionary. Agnes suggested to her brother, Al, who was living in Shanghai at the time, that Violet would make him a good helpmeet. My father, who was on the lookout for a wife, then began a correspondence with this devout woman with a winsome smile, recently graduated from the Nyack Missionary College. Al eventually succeeded through his letters in persuading Violet to join him in China. Thus, Violet Anna Agnes Gibson and Alexander George Kowles were married on the very day the steamer docked in Shanghai harbor, September 6, 1938. She was just six days shy of turning thirty. Al, two years younger and two inches shorter, regretted these facts most of his life. Why my parents went to China was never a mystery to me. In church service after church service they told of how God had laid on their hearts the burden for the lost. They were dedicated to answering the Masters call for reapers to work in the harvest field for lost souls, as they would express it. They were merely obeying the great commission to go into all the world to bring the message of Gods love and salvation to people in heathen darkness. These words and phrases I heard often. I have never doubted their sincerity and resolve. They were more committed to their duty to obey Jesus imperative to preach the Gospel than to any other obligations, even to each other. Their marriage, based on their sincere desire to serve God, seemed to them at the beginning, to be Gods will. But before long, my mother began to recognize the smoldering notion that she had made a grave mistake. Where was God in this? How was God going to work this marriage out to his good? Im sure now that it was her strong sense of duty, her belief that marriages are made in heaven, her determination to endure to the end, bound and kept her locked in that disappointing marriage. Like the flight plans imprinted in those cranes brains, the mechanisms that steered the course of my mothers life were those strongly implanted religious beliefs. I have inherited some of my mothers sense of adventure, her perseverance, as well as strong religious beliefs, but for me, marriages cannot possibly be made in heaven. Where does it say that in the Bible? People make those choices, some good, some unhealthy. Somewhere along the line I have learned, contrary to family maxims, that if you make your bed, you dont necessarily have to lie in it. You can get up and move, especially when one encounters, emotional, physical, sexual or even spiritual abuse. Never once did I hear my mother question Gods sovereignty. To her, that would imply that the God whom she trusted with all her heart had led her down the wrong path. In her theology, and reinforced by my father with quotes from the Bible, that it was Gods will that she submit to her husband. She was committed (and coerced) to love, honor, and obey him until death intervened. 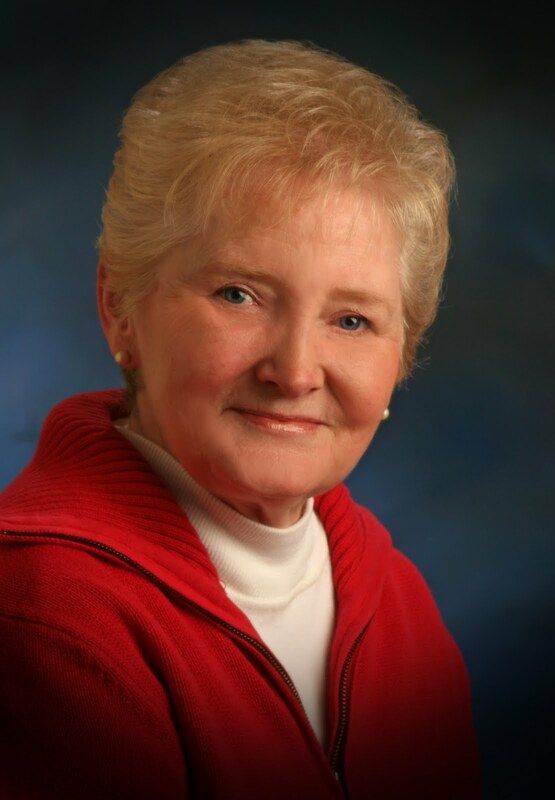 I accepted the future in simple faith that the Lord was leading me all the way, she said. Simple faith did not permit her to question. A professional Christian counselor was out of the question, even if there were any around to be consulted a half century ago. Seeing a counselor pre-supposed that intense prayer and fasting and Bible reading were inadequate remedies to lifes problems. She told very few about her anguish, and never to her children while we were growing up. During the time my mother kept the Chinese chest in her small apartment, it lay shrouded under a heavy, black brocade cloth. Stacked on top of the chest sat her phonograph player, her photo memory books, and piles of assorted record albums. Out of sight, the noble cranes lay hidden for decades until my mother moved into an assisted living residence. I remember her broad smile when I told her that I would take good care of her beautiful camphor chest, this lovely thing she bequeathed to me. She had begun to distribute her things, as she called them, to her four children. My mother lived to be eighty-nine. Clues to her life had been locked away in that Chinese chest for most of those years. In time, it was my joy to unearth some of the mementos and letters she had penned to her mother when she first sailed to Shanghai on the Empress of Japan to marry by faith a man she barely knew. As I look at those cranes now, embedded in that chest that has come down to me, the bewildered one in particular seems to encapsulate much of my mothers fascinating, woeful life. She, like the cranes, had mated for life, despite the unhappiness she endured. I suppose that if we children had all turned out to be preachers or missionaries to a foreign country, she would have felt some recompense, but none of us did. Throughout her lonely migrations to strange and foreign lands she kept searching for a resolution to the sadness she was feeling but could not verbalize. God did not provide the reconciliation to her husband and brother that she had so desperately prayed for. To bolster herself, she often took comfort in the words of the old hymn: It will be worth it all, when we see Jesus; lifes trials will seem so small when we see Christ. I am sure that now she has found the answers in heaven and has found peace–the peace that passes understanding. What has she learned over there? What have I learned from her life experiences? How does one resolve the problem of pain in a Christian worldview? C. S. Lewis has helped me understand what my mother knew and quietly bore: many questions in this life are left unanswered. Life in Christ is a faith journey indeed. The Bible reminds us that our present sufferings are not worth comparing with the glory that will be revealed to us. (Rom. 8:18 NIV) Trust and Obey were the three little words that guided the choices my mother made throughout the bewildered maze of her life. Did you love the book? Leave your review on Amazon, HERE! Pst…pass it on! Help Spread the word about #SwissCourier on Twitter and enter to win a signed copy & Swiss Chocolate! Blog Tour Map- BLOG TOUR! Don’t forget to add the link for the blog tour to your post! It is August 1944 and the Gestapo is mercilessly rounding up suspected enemies of the Third Reich. When Joseph Engel, a German physicist working on the atomic bomb, finds that he is actually a Jew, adopted by Christian parents, he must flee for his life to neutral Switzerland. Gabi Mueller is a young Swiss-American woman working for the newly formed American Office of Strategic Services (the forerunner to the CIA) close to Nazi Germany. When she is asked to risk her life to safely "courier" Engel out of Germany, the fate of the world rests in her hands. If she can lead him to safety, she can keep the Germans from developing nuclear capabilities. But in a time of traitors and uncertainty, whom can she trust along the way? This fast-paced, suspenseful novel takes readers along treacherous twists and turns during a fascinating–and deadly–time in history. The police car triggers Alisa Stwart’s worst fear- her son Kurt is dead, his life is lost forever to addiction. Instead the officer has different message for her. He is following a lead on a crime. Murder. When Kurt calls to say he checked himself into rehab, Alisa suddenly feels joyful about her son for the first time in years. There is no way he could have committed murder!!! But then the cop returns and is asking more questions about people Kurt once knew and Alisa is terrified. His old life seems to keep resurfacing and she wants to protect him from it. How far will she go to protect her son? 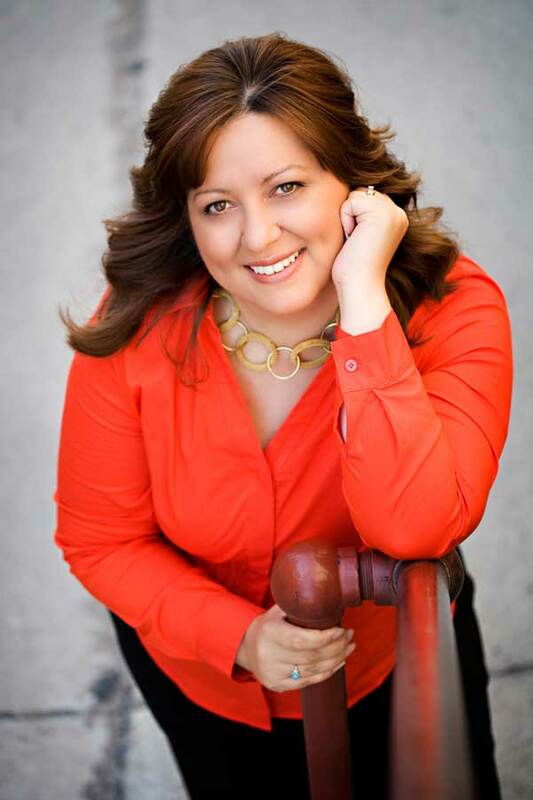 Alisa Stewart is a mother, a writer, a gifted church speaker. She has taken the things that have made her life hard and turned them into good, the perfect story of turning trials into gold. But when the police officer showed up at her door, her heart just about quit. Her son Kurt has made bad choices and she is just sure he is going to be dead one of these times. When the police surprise her that they are not notifying her of his death, the relief quickly turns to fear for her son when they need to talk to him. As this story progresses, you become engrossed in the story of this mother’s love for her son who is not making good choices and is possibly a murder suspect. You feel her joy as she sees him making good choices and agonize with her over each new development. This book is skillfully written and was one of those books where you knew what the right thing for the character to do and I found myself talking to Alisa more than once!! This book will for sure challenge your thought processes on how far will you let love go and when is it more loving to let someone learn on their own without stepping in and making more messes for others in your family.